In an effort to inspire digital marketers to advance their SEO in 2012, SEOmoz.com compiled a forecast featuring eight ideas and actions they expect to see in the coming year. 1. SEO Without Social Media Will Disappear – The growing power and poularity of social media will make it essential for effective SEO in 2012. 2. Bing Will Gain More Marketshare But Google Will Still Reign – According to Statcounter, Google has an 82 percent marketshare while Bing and Yahoo together comprise only 16 percent. This is expected to remain the same over the next year. 3. Keyword (Not Provided) Searches Will Soar to Over 25 Percent – As Google strives to increase adoption of its Android, Google+ and Google Apps, expect these keyword-anonymous searches to experience a major boost. 4. Google Will Get Stricter Against Link Spam – To help improve overall link quality, Google is expected to unveil algorithmic changes in the way it values low-quality links. 5. 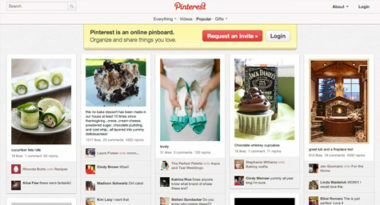 Pinterest Will Peak – The content-based social network will generate major momentum with mainstream audiences in 2012. 6. Strong Search Ads Will Negatively Impact Google – As Google continues to push its paid search ads above all others, audiences will turn against these aggressive actions. 7. Google+ Will Be Essential for Good SEO – Google will continue to encourage the use of its Google+ social network by integrating the social platform into effective SEO. 8. A Real Certification Program for Search Marketing – The inbound marketing industry has been sorely in need of a legitimate certification course. Expectations are high that one will be developed by the end of the year. SEO will see many changes in 2012 and these predictions will hopefully help marketers advance the industry in the most worthwhile directions. To learn more about the benefits of search marketing to promote your business, contact MDG Advertising.